Mix together limeade, milk, water, and sugar until sugar is disolved. Blend strawberries, sugar, and water until smoother. 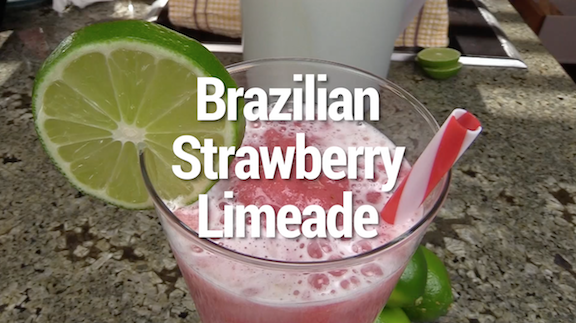 Top each glass of limeade with 1/4 cup strawberry mixture.